Is your advertising wasting only *half* your money? 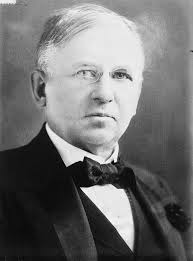 Advertising’s most reliable cliché is the wistful quotation from 19th Century merchant John Wanamaker about half his advertising being wasted … and if he only knew which half …. People from agencies, advertisers and media loooooove to quote it, because it lets them shrug off uncomfortable questions when ads fail to move the needle. "Hey, nobody can foresee what will work," "Predicting results can be dicey," and "Well gee we all thought the sock puppet would be a swell campaign," etc. So a whole lot of people take comfort that they, like Wanamaker a century ago, are hitting on half their cylinders, and that’s the best they can expect. How do you know you’re not throwing away 2/3 of your advertising? Or 3/4? Or some frightening fraction even higher? Can you even be sure that next year’s ad campaign, sitting there waiting for your approval, won’t slither into the black hole of forgotten messages, sucking your budget in behind it? Want to be sure? Want to be absolutely sure? Then you should consider another career, like, say, cable news talking-head political pundit, where absolute certainty seems to go with the job, along with a sincere frowny-face, hairspray, and the willingness to regurgitate the obvious and/or inflammatory in shouted sound bites. If, however, you’re like the less-than-certain rest of us, that anxiety is palpable, and growing. Your audience is getting harder to reach in all traditional media, and the ROI of advertising is sliding downhill year by year. Nobody under 30 is reading newspapers. Many magazines are in trouble. Advertise on radio and count the number of people listening to iPods. TV? Zip and zap right past you. Push your push messages all you like – consumers have adapted and can comfortably avoid you. *There is now, however, a better answer: Marketing automation. Improving the odds far beyond Wanamaker’s “half” is not only possible but refreshingly practical. Want to learn how?